Designed to make users lives more efficient. Based at the world-renowned Hethel Engineering Centre in Norfolk, Inductive Logic has successfully introduced a range of innovative, high performance products into the UK and mainland Europe. All our products are reliable, safe, efficient, and designed to save energy costs and reduce emissions. A passion for user friendly, reliable, energy efficient, productive and great value products. Founded in 2009, our experienced team is headed up by Ian Baragwanath. Ian is a successful entrepreneur who has set up and run several businesses. Ian’s eye for opportunities and his design and manufacturing contacts has allowed him to source and distribute innovative new products such as the INDUCTOR® range. Ideal for use in the automotive, engineering, construction, farming and marine industries, the innovative INDUCTOR® tools are made in the USA by Induction Innovations Inc. The company was looking for a UK company that could introduce the products to the UK automotive market. They needed a reliable partner to provide full UK distribution, sales and marketing support and warranty repair service – and chose Inductive Logic to provide this. Since introducing the new products in 2012, we have sold over 3,000 units in the UK and Europe – exceeding target and expectations. The Equipment has enabled us to keep in-house all assembly and modification to Hydrocarbon Machine project. With the help of our design engineers, we’re working on adapting existing technologies to bring exciting new commercial, industrial and domestic products to market. These products will be as reliable, safe and efficient as the other products we supply. 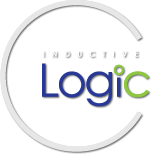 To find out more about our products and services, please call us on 01953 859138 or email info@inductivelogic.co.uk.